I'm not a big user of social so I don't really know. My sense is that FB is no longer cool. The kids have migrated elsewhere because they don't want to share a platform with their grandparents. Pew has a new survey on US attitudes to social media. 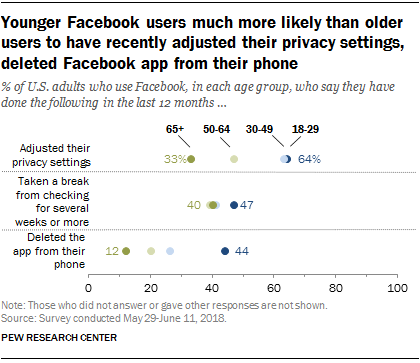 44% of millenials have deleted the FB app from their phones in the last 12 months. Apple has permanently banned InfoWars' app from its app store, just weeks after the tech giant announced it was monitoring the right-wing conspiracy newscast app for possible content policy violations.